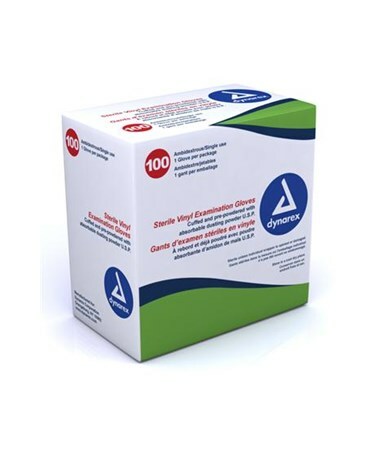 Dynarex Sterile Vinyl Exam Glove is lightly pre-powdered with absorbable U.S.P. grade dusting powder and ambidextrous making them easy to slip on quickly. Reliable and unmatched strength, comfort, and stretch make this a popular choice for medical personnel. 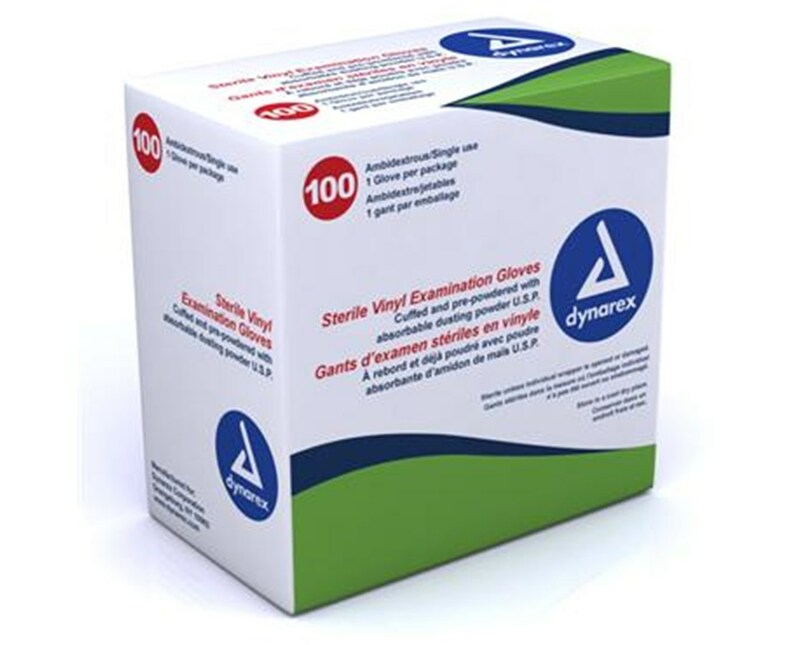 Dynarex Sterile Vinyl Exam Glove come in a peel open package with an inner wrap which can serve as a convenient sterile field. Tiger Medical offers a 30 day return policy from date of shipment for this product, subject to a 20% restocking fee, in addition to the return shipping charges. The product must be in new condition and in its original packaging, unopened. We can not accept a return for this item once opened for sterile reasons. We take the responsibility to make sure this product arrives in brand new working condition. Should your item arrive damaged, we will replace the product at no cost to you.